Male breast reduction surgery reshapes the chest, relieving the pain and discomfort caused by enlarged breasts. Many men suffer from gynecomastia (male breast enlargement) and experience back, shoulder and neck pain and posture problems as a result. Male breast reduction surgery relieves the pain and discomfort caused by enlarged breasts by reshaping the chest. Post-bariatric patients who experience a dramatic weight loss and professional body builders who gain a significant muscle mass often choose to have male breast reduction to restore proportion to their bodies. A thorough consultation is an important first step when deciding if breast reduction is the right option for you. One of our board certified surgeons will discuss your desired results, examine you and provide an honest, professional opinion on how best to achieve those results. We also make certain that you are a good candidate for the procedure, taking into account your age, health, medical background and other factors that could affect the safety and effectiveness of your surgery. All of our consultations are conducted with the goal of making sure our patients feel comfortable, confident and informed about the male breast reduction process. The day of your procedure, refrain from wearing makeup, contact lenses, hairpins, jewelry, lotion or perfume. We also advise wearing comfortable clothing. Prepare to have a responsible adult provide you with transportation after your procedure and make arrangements for any care or assistance you may need 24 hours after surgery. If you are a minor, a parent or guardian must be with you at the time of your procedure. When it is time to begin, you will be taken to our state-of-the-art surgical suite and comfortably fall asleep under general anesthesia. A male breast reduction surgery typically takes two to five hours depending on the complexity of the procedure and if it is performed in combination with other procedures to enhance results. We strongly recommend sleeping on your back and avoiding strenuous activity for the first few days after surgery. Most patients are back to work within two weeks, but it is important to remember that everyone recovers differently, and you may need more or less time before you feel 100% again. A few days after your surgery, your RTH doctor will follow-up to see how you are healing and prescribe any necessary medication. While results vary based on the individual, male breast reduction patients typically enjoy breasts that are better positioned, much smaller and proportionate to the rest of the body. Patients are also able to play sports, exercise and enjoy other physical activities that may have previously caused pain or discomfort. Many men often feel a boost of self confidence as a result of their new appearance. During your consultation, your doctor will thoroughly explain what results to expect. Q: Is male breast reduction right for me? If you are a man who wants to reduce the size of your breasts to improve the overall balance and proportion of your body and relieve the pain and discomfort caused by over-developed breasts, a male breast reduction may be the right option for you. All breast reduction candidates must be in good health with no pre-existing medical conditions that could create complications. Adolescents may benefit from surgery, although secondary procedures may be needed if the breasts continue to develop. Gynecomastia is a condition that causes men to have over-developed or enlarged breasts. Hormonal changes, heredity, some diseases and the use of certain drugs can all be causes of gynecomastia. Q: Why choose RTH Plastic Surgery for my male breast reduction procedure? When choosing a plastic surgeon to perform male breast reduction surgery, there are three important qualifications to consider: training, experience and personal attention. Dr. Hajjar is Board Certified by the American Osteopathic Board of Surgery in plastic and reconstructive surgery. Above all, your doctor should be someone you trust to deliver exceptional results and perform a safe and effective procedure. 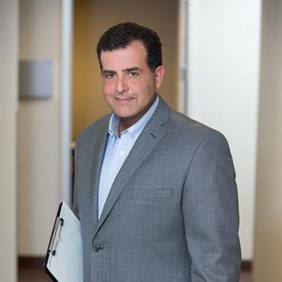 Dr. Hajjar is a board certified plastic surgeon with years of experience performing male breast reductions. Our doctor spends the necessary time with every patient to answer any questions and address any concerns. We make it a priority to ensure our patients are well-informed and completely comfortable with their decisions. We know that your time is valuable, which is why we maintain an efficient procedure calendar and use the latest techniques and technology to minimize your recovery time and maximize your results. Q: Will my insurance cover a male breast reduction? Insurance companies commonly do not cover an elective or cosmetic surgery like a male breast reduction unless it is performed to correct a medical or health condition. If you plan to use insurance as payment, we strongly suggest consulting with your provider to discuss if the procedure is covered in part or in full by your current plan. Q: Will my breast reduction have a natural result? RTH plastic surgeons have improved and refined minimally invasive techniques for male breast reduction. With our short-scar technique, you can experience little or no scarring. While results vary based on the individual, we focus on creating the most natural results possible. During your consultation, your doctor will thoroughly explain what results to expect. The longevity of results varies and is dependent on your body type and habits. Typically, you can expect male breast reduction results to be long lasting if you maintain your weight and keep a healthy lifestyle. Q: What are the risks of male breast reduction surgery? Q: Can I have additional procedures in combination with my breast reduction to enhance results? Yes, your RTH doctor can recommend additional services to enhance your desired results such as liposuction, CoolSculpting or other body contouring procedures.